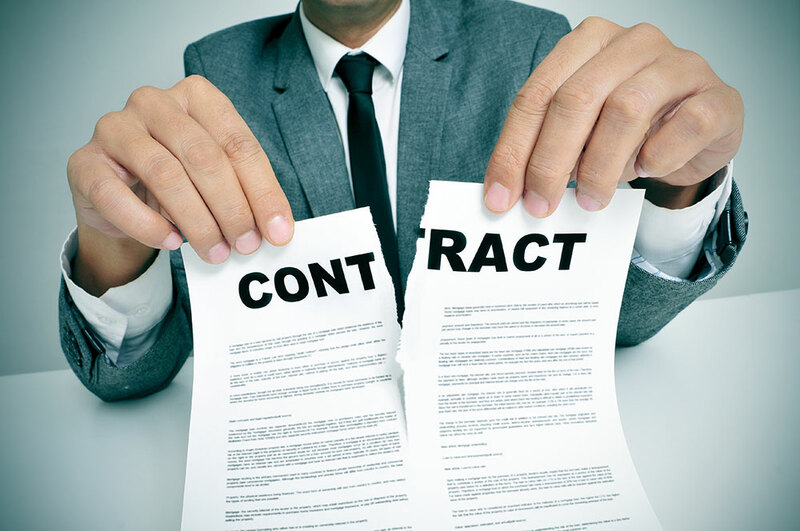 You can’t always cancel a contract, but many contracts can be canceled within certain time limits. You usually cannot cancel a contract, but there are times when you can. You can cancel some contracts within certain time limits. Some contracts must tell you about your right to cancel, how to cancel them, and where to send the cancellation notice. To protect yourself, do not sign a contract before reading and understanding it. Many contracts give you a number of days to change your mind. Depending on the law, this could mean regular days or just business days. Door-to-door sales: purchases of $25 or more made at your home or away from the seller’s normal place of business. Contracts for dating services, weight loss programs, vacation timeshares, employment agencies, immigration consultants, and foreclosure consultants. Health club contracts under $1,500, and contracts for vocational school courses. Contracts for “personal emergency response units” that are not part of a separate alarm system. Contracts for some insurance policies, and pre-paid talent agencies. Service contracts on a new car. Also, you can cancel a service contract after 60 days and receive a partial refund. Contracts for property insurance, and dance studio lessons. Unfair Practices: If the seller lies to you about a major fact of the product or service, you may be able to cancel the contract. You may also cancel a contract if the seller fails to do what he promised. Minors: Most contracts signed by someone under 18 years of age may be canceled. Car Sales: The contract can be canceled if the seller cannot get financing for the vehicle. Refund Policies: Stores must honor their refund policies. Stores that do not tell you their refund policy in advance have to give you a cash refund if you return the item within seven days with your receipt. Professional Licensing: Persons required to have a professional license, such as attorneys and contractors, cannot enforce a contract if they are not licensed. Make sure you send the cancellation notice within the time allowed. Always cancel in writing. You can use the cancellation form or send a letter. Keep a copy of your cancellation notice or letter. Send your cancellation notice by certified mail, return receipt.